Have you experienced insomnia? 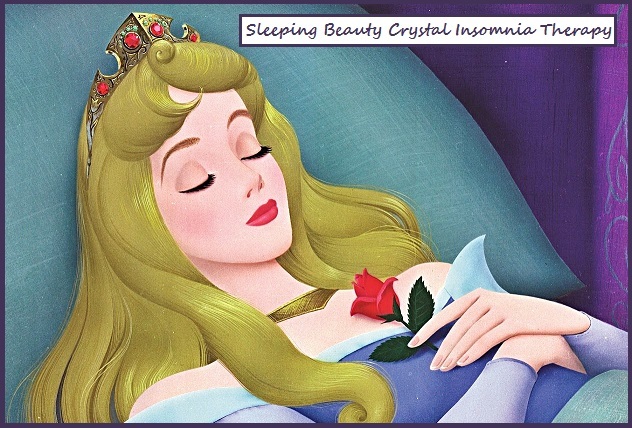 When struggling with sleepless nights, we would all rather imagine ourselves as a sleeping beauty. Following is an exercise found in Christina Rodenbeck’s book Crystals for Everyday Living. For this technique you will need one tumbled Amethyst or one tumbled Sodalite Crystal. Amethyst is a natural tranquilizer that helps to calm and soothe the mind. Deep blue Sodalite is especially useful if you have nightmares, panic attacks and fears are disturbing your sleep. Now lie comfortably on your back in bed. Place the Amethyst or Sodalite Crystal on your brow chakra (located in center of eyebrows). 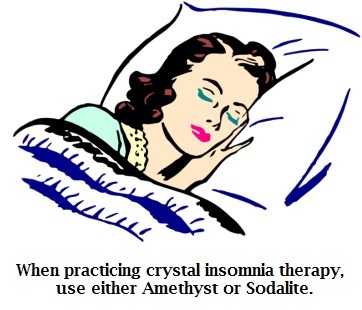 Leave the crystal in place as you practice one of the following relaxation techniques. Technique 1: Put a hand on your stomach and take long, slow breaths, allowing your belly to expand as you inhale. As you exhale, relax your chest and shoulders. Focus your attention on the rise and fall of your abdomen until you feel that you are completely relaxed. Technique 2: Allow a picture to arise in your mind of a scene or activity that you find peaceful and soothing, especially an activity with a regular rhythm. This can be walking in the woods, swimming, or petting your dog or cat. Focus on the repetitive rhythm and relax. When completing either technique, place one hand over your heart chakra and one hand either above or below your navel. This is also very calming and balancing for your chakras. Shhhh…Nighty, Night!